ELITE SOUTHERN REALTY, LLC | For All of Your Home Buying & Selling Solutions !!! "; SLIDES.add_slide(s); //s.filter = 'progid:DXImageTransform.Microsoft.Pixelate()'; s = new slide(); s.src = "//pix.idxre.com/pix/LANOMAR/main/0/2122747_0.jpg"; s.link = "//elitesouthernrealty.com/homes-for-sale-details/3711-ST-CHARLES-AVENUE-NEW-ORLEANS-LA-70115/2122747/150/"; s.text = "
"; SLIDES.add_slide(s); //s.filter = 'progid:DXImageTransform.Microsoft.Pixelate()'; s = new slide(); s.src = "//pix.idxre.com/pix/LANOMAR/main/0/2199345_0.jpg"; s.link = "//elitesouthernrealty.com/homes-for-sale-details/3300-PRESTON-PLACE-NEW-ORLEANS-LA-70131/2199345/150/"; s.text = "
"; SLIDES.add_slide(s); //s.filter = 'progid:DXImageTransform.Microsoft.Pixelate()'; s = new slide(); s.src = "//pix.idxre.com/pix/LANOMAR/main/0/2190175_0.jpg"; s.link = "//elitesouthernrealty.com/homes-for-sale-details/2362-CAMP-STREET-NEW-ORLEANS-LA-70130/2190175/150/"; s.text = "
"; SLIDES.add_slide(s); //s.filter = 'progid:DXImageTransform.Microsoft.Pixelate()'; s = new slide(); s.src = "//pix.idxre.com/pix/LANOMAR/main/0/2143491_0.jpg"; s.link = "//elitesouthernrealty.com/homes-for-sale-details/2211-PRYTANIA-STREET-NEW-ORLEANS-LA-70130/2143491/150/"; s.text = "
"; SLIDES.add_slide(s); //s.filter = 'progid:DXImageTransform.Microsoft.Pixelate()'; s = new slide(); s.src = "//pix.idxre.com/pix/LANOMAR/main/0/2190878_0.jpg"; s.link = "//elitesouthernrealty.com/homes-for-sale-details/13-NEWCOMB-BOULEVARD-NEW-ORLEANS-LA-70118/2190878/150/"; s.text = "
"; SLIDES.add_slide(s); //s.filter = 'progid:DXImageTransform.Microsoft.Pixelate()'; s = new slide(); s.src = "//pix.idxre.com/pix/LANOMAR/main/0/2133493_0.jpg"; s.link = "//elitesouthernrealty.com/homes-for-sale-details/600-GOV-NICHOLLS-STREET-NEW-ORLEANS-LA-70116/2133493/150/"; s.text = "
"; SLIDES.add_slide(s); //s.filter = 'progid:DXImageTransform.Microsoft.Pixelate()'; s = new slide(); s.src = "//pix.idxre.com/pix/LANOMAR/main/0/2122806_0.jpg"; s.link = "//elitesouthernrealty.com/homes-for-sale-details/2727-SAINT-CHARLES-AVENUE-NEW-ORLEANS-LA-70130/2122806/150/"; s.text = "
"; SLIDES.add_slide(s); //s.filter = 'progid:DXImageTransform.Microsoft.Pixelate()'; s = new slide(); s.src = "//pix.idxre.com/pix/LANOMAR/main/0/2190621_0.jpg"; s.link = "//elitesouthernrealty.com/homes-for-sale-details/2507-PRYTANIA-STREET-NEW-ORLEANS-LA-70130/2190621/150/"; s.text = "
"; SLIDES.add_slide(s); //s.filter = 'progid:DXImageTransform.Microsoft.Pixelate()'; s = new slide(); s.src = "//pix.idxre.com/pix/LANOMAR/main/0/2185104_0.jpg"; s.link = "//elitesouthernrealty.com/homes-for-sale-details/922-ESPLANADE-AVENUE-NEW-ORLEANS-LA-70116/2185104/150/"; s.text = "
"; SLIDES.add_slide(s); //s.filter = 'progid:DXImageTransform.Microsoft.Pixelate()'; s = new slide(); s.src = "//pix.idxre.com/pix/LANOMAR/main/0/2185154_0.jpg"; s.link = "//elitesouthernrealty.com/homes-for-sale-details/1220-DAUPHINE-STREET-A-NEW-ORLEANS-LA-70116/2185154/150/"; s.text = "
"; SLIDES.add_slide(s); //s.filter = 'progid:DXImageTransform.Microsoft.Pixelate()'; s = new slide(); s.src = "//pix.idxre.com/pix/LANOMAR/main/0/2187294_0.jpg"; s.link = "//elitesouthernrealty.com/homes-for-sale-details/5718-ST-CHARLES-AVENUE-NEW-ORLEANS-LA-70115/2187294/150/"; s.text = "
"; SLIDES.add_slide(s); //s.filter = 'progid:DXImageTransform.Microsoft.Pixelate()'; s = new slide(); s.src = "//pix.idxre.com/pix/LANOMAR/main/0/2191775_0.jpg"; s.link = "//elitesouthernrealty.com/homes-for-sale-details/600-PORT-OF-NEW-ORLEANS-PLACE-12G-NEW-ORLEANS-LA-70130/2191775/150/"; s.text = "
"; SLIDES.add_slide(s); //s.filter = 'progid:DXImageTransform.Microsoft.Pixelate()'; s = new slide(); s.src = "//pix.idxre.com/pix/LANOMAR/main/0/2195176_0.jpg"; s.link = "//elitesouthernrealty.com/homes-for-sale-details/1215-ROYAL-STREET-NEW-ORLEANS-LA-70116/2195176/150/"; s.text = "
"; SLIDES.add_slide(s); //s.filter = 'progid:DXImageTransform.Microsoft.Pixelate()'; s = new slide(); s.src = "//pix.idxre.com/pix/LANOMAR/main/0/2187827_0.jpg"; s.link = "//elitesouthernrealty.com/homes-for-sale-details/1776-STATE-STREET-NEW-ORLEANS-LA-70118/2187827/150/"; s.text = "
"; SLIDES.add_slide(s); //s.filter = 'progid:DXImageTransform.Microsoft.Pixelate()'; s = new slide(); s.src = "//pix.idxre.com/pix/LANOMAR/main/0/2187497_0.jpg"; s.link = "//elitesouthernrealty.com/homes-for-sale-details/1749-COLISEUM-STREET-NEW-ORLEANS-LA-70130/2187497/150/"; s.text = "
"; SLIDES.add_slide(s); //s.filter = 'progid:DXImageTransform.Microsoft.Pixelate()'; s = new slide(); s.src = "//pix.idxre.com/pix/LANOMAR/main/0/2178995_0.jpg"; s.link = "//elitesouthernrealty.com/homes-for-sale-details/2503-ST-CHARLES-AVENUE-NEW-ORLEANS-LA-70130/2178995/150/"; s.text = "
"; SLIDES.add_slide(s); //s.filter = 'progid:DXImageTransform.Microsoft.Pixelate()'; s = new slide(); s.src = "//pix.idxre.com/pix/LANOMAR/main/0/2198035_0.jpg"; s.link = "//elitesouthernrealty.com/homes-for-sale-details/1001-JULIA-STREET-11EF-NEW-ORLEANS-LA-70113/2198035/150/"; s.text = "
"; SLIDES.add_slide(s); //s.filter = 'progid:DXImageTransform.Microsoft.Pixelate()'; s = new slide(); s.src = "//pix.idxre.com/pix/LANOMAR/main/0/2188260_0.jpg"; s.link = "//elitesouthernrealty.com/homes-for-sale-details/4706-ST-CHARLES-AVENUE-NEW-ORLEANS-LA-70115/2188260/150/"; s.text = "
"; SLIDES.add_slide(s); //s.filter = 'progid:DXImageTransform.Microsoft.Pixelate()'; s = new slide(); s.src = "//pix.idxre.com/pix/LANOMAR/main/0/2178715_0.jpg"; s.link = "//elitesouthernrealty.com/homes-for-sale-details/1012-ROYAL-STREET-NEW-ORLEANS-LA-70116/2178715/150/"; s.text = "
"; SLIDES.add_slide(s); //s.filter = 'progid:DXImageTransform.Microsoft.Pixelate()'; s = new slide(); s.src = "//pix.idxre.com/pix/LANOMAR/main/0/2195376_0.jpg"; s.link = "//elitesouthernrealty.com/homes-for-sale-details/1518-FIRST-STREET-NEW-ORLEANS-LA-70130/2195376/150/"; s.text = "
"; SLIDES.add_slide(s); //s.filter = 'progid:DXImageTransform.Microsoft.Pixelate()'; s = new slide(); s.src = "//pix.idxre.com/pix/LANOMAR/main/0/2198452_0.jpg"; s.link = "//elitesouthernrealty.com/homes-for-sale-details/1413-JEFFERSON-AVENUE-NEW-ORLEANS-LA-70115/2198452/150/"; s.text = "
"; SLIDES.add_slide(s); //s.filter = 'progid:DXImageTransform.Microsoft.Pixelate()'; s = new slide(); s.src = "//pix.idxre.com/pix/LANOMAR/main/0/2177696_0.jpg"; s.link = "//elitesouthernrealty.com/homes-for-sale-details/917-DUMAINE-STREET-NEW-ORLEANS-LA-70116/2177696/150/"; s.text = "
"; SLIDES.add_slide(s); //s.filter = 'progid:DXImageTransform.Microsoft.Pixelate()'; s = new slide(); s.src = "//pix.idxre.com/pix/LANOMAR/main/0/2130360_0.jpg"; s.link = "//elitesouthernrealty.com/homes-for-sale-details/1100-ANNUNCIATION-STREET-PH3-NEW-ORLEANS-LA-70130/2130360/150/"; s.text = "
"; SLIDES.add_slide(s); //s.filter = 'progid:DXImageTransform.Microsoft.Pixelate()'; s = new slide(); s.src = "//pix.idxre.com/pix/LANOMAR/main/0/2196335_0.jpg"; s.link = "//elitesouthernrealty.com/homes-for-sale-details/30-TERN-STREET-NEW-ORLEANS-LA-70124/2196335/150/"; s.text = "
"; SLIDES.add_slide(s); //s.filter = 'progid:DXImageTransform.Microsoft.Pixelate()'; s = new slide(); s.src = "//pix.idxre.com/pix/LANOMAR/main/0/2152093_0.jpg"; s.link = "//elitesouthernrealty.com/homes-for-sale-details/1633-DUFOSSAT-STREET-NEW-ORLEANS-LA-70115/2152093/150/"; s.text = "
"; SLIDES.add_slide(s); //s.filter = 'progid:DXImageTransform.Microsoft.Pixelate()'; s = new slide(); s.src = "//pix.idxre.com/pix/LANOMAR/main/0/2184232_0.jpg"; s.link = "//elitesouthernrealty.com/homes-for-sale-details/622-ESPLANADE-AVENUE-NEW-ORLEANS-LA-70116/2184232/150/"; s.text = "
"; SLIDES.add_slide(s); //s.filter = 'progid:DXImageTransform.Microsoft.Pixelate()'; s = new slide(); s.src = "//pix.idxre.com/pix/LANOMAR/main/0/2188724_0.jpg"; s.link = "//elitesouthernrealty.com/homes-for-sale-details/1230-WEBSTER-STREET-NEW-ORLEANS-LA-70118/2188724/150/"; s.text = "
"; SLIDES.add_slide(s); //s.filter = 'progid:DXImageTransform.Microsoft.Pixelate()'; s = new slide(); s.src = "//pix.idxre.com/pix/LANOMAR/main/0/2194567_0.jpg"; s.link = "//elitesouthernrealty.com/homes-for-sale-details/600-PORT-OF-NEW-ORLEANS-PLACE-8F-NEW-ORLEANS-LA-70130/2194567/150/"; s.text = "
"; SLIDES.add_slide(s); //s.filter = 'progid:DXImageTransform.Microsoft.Pixelate()'; s = new slide(); s.src = "//pix.idxre.com/pix/LANOMAR/main/0/2184348_0.jpg"; s.link = "//elitesouthernrealty.com/homes-for-sale-details/1527-WASHINGTON-AVENUE-NEW-ORLEANS-LA-70130/2184348/150/"; s.text = "
"; SLIDES.add_slide(s); //s.filter = 'progid:DXImageTransform.Microsoft.Pixelate()'; s = new slide(); s.src = "//pix.idxre.com/pix/LANOMAR/main/0/2195075_0.jpg"; s.link = "//elitesouthernrealty.com/homes-for-sale-details/212-AUDUBON-BOULEVARD-NEW-ORLEANS-LA-70118/2195075/150/"; s.text = "
"; SLIDES.add_slide(s); //s.filter = 'progid:DXImageTransform.Microsoft.Pixelate()'; s = new slide(); s.src = "//pix.idxre.com/pix/LANOMAR/main/0/2185640_0.jpg"; s.link = "//elitesouthernrealty.com/homes-for-sale-details/1467-NASHVILLE-AVENUE-NEW-ORLEANS-LA-70115/2185640/150/"; s.text = "
"; SLIDES.add_slide(s); //s.filter = 'progid:DXImageTransform.Microsoft.Pixelate()'; s = new slide(); s.src = "//pix.idxre.com/pix/LANOMAR/main/0/2178714_0.jpg"; s.link = "//elitesouthernrealty.com/homes-for-sale-details/814-ST-PHILIP-STREET-NEW-ORLEANS-LA-70116/2178714/150/"; s.text = "
"; SLIDES.add_slide(s); //s.filter = 'progid:DXImageTransform.Microsoft.Pixelate()'; s = new slide(); s.src = "//pix.idxre.com/pix/LANOMAR/main/0/2188115_0.jpg"; s.link = "//elitesouthernrealty.com/homes-for-sale-details/123-WALNUT-STREET-1004-NEW-ORLEANS-LA-70118/2188115/150/"; s.text = "
"; SLIDES.add_slide(s); //s.filter = 'progid:DXImageTransform.Microsoft.Pixelate()'; s = new slide(); s.src = "//pix.idxre.com/pix/LANOMAR/main/0/2193066_0.jpg"; s.link = "//elitesouthernrealty.com/homes-for-sale-details/1001-JULIA-STREET-4EF-NEW-ORLEANS-LA-70113/2193066/150/"; s.text = "
"; SLIDES.add_slide(s); //s.filter = 'progid:DXImageTransform.Microsoft.Pixelate()'; s = new slide(); s.src = "//pix.idxre.com/pix/LANOMAR/main/0/2178087_0.jpg"; s.link = "//elitesouthernrealty.com/homes-for-sale-details/634-ESPLANADE-AVENUE-NEW-ORLEANS-LA-70116/2178087/150/"; s.text = "
"; SLIDES.add_slide(s); //s.filter = 'progid:DXImageTransform.Microsoft.Pixelate()'; s = new slide(); s.src = "//pix.idxre.com/pix/LANOMAR/main/0/2181591_0.jpg"; s.link = "//elitesouthernrealty.com/homes-for-sale-details/1051-ANNUNCIATION-STREET-COM-NEW-ORLEANS-LA-70130/2181591/150/"; s.text = "
"; SLIDES.add_slide(s); //s.filter = 'progid:DXImageTransform.Microsoft.Pixelate()'; s = new slide(); s.src = "//pix.idxre.com/pix/LANOMAR/main/0/2186449_0.jpg"; s.link = "//elitesouthernrealty.com/homes-for-sale-details/1233-BOURBON-STREET-NEW-ORLEANS-LA-70116/2186449/150/"; s.text = "
"; SLIDES.add_slide(s); //s.filter = 'progid:DXImageTransform.Microsoft.Pixelate()'; s = new slide(); s.src = "//pix.idxre.com/pix/LANOMAR/main/0/2187626_0.jpg"; s.link = "//elitesouthernrealty.com/homes-for-sale-details/730-CAMP-STREET-3-NEW-ORLEANS-LA-70130/2187626/150/"; s.text = "
"; SLIDES.add_slide(s); //s.filter = 'progid:DXImageTransform.Microsoft.Pixelate()'; s = new slide(); s.src = "//pix.idxre.com/pix/LANOMAR/main/0/2190688_0.jpg"; s.link = "//elitesouthernrealty.com/homes-for-sale-details/4036-ST-CHARLES-AVENUE-NEW-ORLEANS-LA-70115/2190688/150/"; s.text = "
"; SLIDES.add_slide(s); //s.filter = 'progid:DXImageTransform.Microsoft.Pixelate()'; s = new slide(); s.src = "//pix.idxre.com/pix/LANOMAR/main/0/2191575_0.jpg"; s.link = "//elitesouthernrealty.com/homes-for-sale-details/1233-BOURBON-STREET-NEW-ORLEANS-LA-70116/2191575/150/"; s.text = "
"; SLIDES.add_slide(s); //s.filter = 'progid:DXImageTransform.Microsoft.Pixelate()'; s = new slide(); s.src = "//pix.idxre.com/pix/LANOMAR/main/0/2194308_0.jpg"; s.link = "//elitesouthernrealty.com/homes-for-sale-details/10-SWAN-STREET-NEW-ORLEANS-LA-70124/2194308/150/"; s.text = "
"; SLIDES.add_slide(s); //s.filter = 'progid:DXImageTransform.Microsoft.Pixelate()'; s = new slide(); s.src = "//pix.idxre.com/pix/LANOMAR/main/0/2158276_0.jpg"; s.link = "//elitesouthernrealty.com/homes-for-sale-details/704-ENGLISH-TURN-LANE-NEW-ORLEANS-LA-70131/2158276/150/"; s.text = "
"; SLIDES.add_slide(s); //s.filter = 'progid:DXImageTransform.Microsoft.Pixelate()'; s = new slide(); s.src = "//pix.idxre.com/pix/LANOMAR/main/0/2195070_0.jpg"; s.link = "//elitesouthernrealty.com/homes-for-sale-details/1111-WEBSTER-STREET-NEW-ORLEANS-LA-70118/2195070/150/"; s.text = "
"; SLIDES.add_slide(s); //s.filter = 'progid:DXImageTransform.Microsoft.Pixelate()'; s = new slide(); s.src = "//pix.idxre.com/pix/LANOMAR/main/0/2195266_0.jpg"; s.link = "//elitesouthernrealty.com/homes-for-sale-details/918-ORLEANS-AVENUE-NEW-ORLEANS-LA-70116/2195266/150/"; s.text = "
"; SLIDES.add_slide(s); //s.filter = 'progid:DXImageTransform.Microsoft.Pixelate()'; s = new slide(); s.src = "//pix.idxre.com/pix/LANOMAR/main/0/2171975_0.jpg"; s.link = "//elitesouthernrealty.com/homes-for-sale-details/600-PORT-OF-NEW-ORLEANS-PLACE-3E-NEW-ORLEANS-LA-70130/2171975/150/"; s.text = "
"; SLIDES.add_slide(s); //s.filter = 'progid:DXImageTransform.Microsoft.Pixelate()'; s = new slide(); s.src = "//pix.idxre.com/pix/LANOMAR/main/0/2197614_0.jpg"; s.link = "//elitesouthernrealty.com/homes-for-sale-details/1520-TOLEDANO-STREET-NEW-ORLEANS-LA-70115/2197614/150/"; s.text = "
"; SLIDES.add_slide(s); //s.filter = 'progid:DXImageTransform.Microsoft.Pixelate()'; s = new slide(); s.src = "//pix.idxre.com/pix/LANOMAR/main/0/2190585_0.jpg"; s.link = "//elitesouthernrealty.com/homes-for-sale-details/721-BURGUNDY-STREET-NEW-ORLEANS-LA-70116/2190585/150/"; s.text = "
"; SLIDES.add_slide(s); //s.filter = 'progid:DXImageTransform.Microsoft.Pixelate()'; s = new slide(); s.src = "//pix.idxre.com/pix/LANOMAR/main/0/2188907_0.jpg"; s.link = "//elitesouthernrealty.com/homes-for-sale-details/821-GOV-NICHOLLS-STREET-NEW-ORLEANS-LA-70116/2188907/150/"; s.text = "
"; SLIDES.add_slide(s); //s.filter = 'progid:DXImageTransform.Microsoft.Pixelate()'; s = new slide(); s.src = "//pix.idxre.com/pix/LANOMAR/main/0/2174911_0.jpg"; s.link = "//elitesouthernrealty.com/homes-for-sale-details/915-DAUPHINE-STREET-NEW-ORLEANS-LA-70116/2174911/150/"; s.text = "
"; SLIDES.add_slide(s); //s.filter = 'progid:DXImageTransform.Microsoft.Pixelate()'; s = new slide(); s.src = "//pix.idxre.com/pix/LANOMAR/main/0/2197123_0.jpg"; s.link = "//elitesouthernrealty.com/homes-for-sale-details/612-STATE-STREET-NEW-ORLEANS-LA-70115/2197123/150/"; s.text = "
"; SLIDES.add_slide(s); //s.filter = 'progid:DXImageTransform.Microsoft.Pixelate()'; s = new slide(); s.src = "//pix.idxre.com/pix/LANOMAR/main/0/2159792_0.jpg"; s.link = "//elitesouthernrealty.com/homes-for-sale-details/1100-ANNUNCIATION-STREET-PH4-NEW-ORLEANS-LA-70130/2159792/150/"; s.text = "
"; SLIDES.add_slide(s); //s.filter = 'progid:DXImageTransform.Microsoft.Pixelate()'; s = new slide(); s.src = "//pix.idxre.com/pix/LANOMAR/main/0/2196838_0.jpg"; s.link = "//elitesouthernrealty.com/homes-for-sale-details/626-JULIA-STREET-NEW-ORLEANS-LA-70130/2196838/150/"; s.text = "
"; SLIDES.add_slide(s); //s.filter = 'progid:DXImageTransform.Microsoft.Pixelate()'; s = new slide(); s.src = "//pix.idxre.com/pix/LANOMAR/main/0/2169762_0.jpg"; s.link = "//elitesouthernrealty.com/homes-for-sale-details/410-NATCHEZ-STREET-9-NEW-ORLEANS-LA-70130/2169762/150/"; s.text = "
"; SLIDES.add_slide(s); //s.filter = 'progid:DXImageTransform.Microsoft.Pixelate()'; s = new slide(); s.src = "//pix.idxre.com/pix/LANOMAR/main/0/2172408_0.jpg"; s.link = "//elitesouthernrealty.com/homes-for-sale-details/1001-JULIA-STREET-PH-E-NEW-ORLEANS-LA-70113/2172408/150/"; s.text = "
"; SLIDES.add_slide(s); //s.filter = 'progid:DXImageTransform.Microsoft.Pixelate()'; s = new slide(); s.src = "//pix.idxre.com/pix/LANOMAR/main/0/2198321_0.jpg"; s.link = "//elitesouthernrealty.com/homes-for-sale-details/170-WALNUT-STREET-6H-NEW-ORLEANS-LA-70118/2198321/150/"; s.text = "
"; SLIDES.add_slide(s); //s.filter = 'progid:DXImageTransform.Microsoft.Pixelate()'; s = new slide(); s.src = "//pix.idxre.com/pix/LANOMAR/main/0/2049342_0.jpg"; s.link = "//elitesouthernrealty.com/homes-for-sale-details/1400-8TH-STREET-NEW-ORLEANS-LA-70115/2049342/150/"; s.text = "
"; SLIDES.add_slide(s); //s.filter = 'progid:DXImageTransform.Microsoft.Pixelate()'; s = new slide(); s.src = "//pix.idxre.com/pix/LANOMAR/main/0/2144577_0.jpg"; s.link = "//elitesouthernrealty.com/homes-for-sale-details/138-AUDUBON-BOULEVARD-NEW-ORLEANS-LA-70118/2144577/150/"; s.text = "
"; SLIDES.add_slide(s); //s.filter = 'progid:DXImageTransform.Microsoft.Pixelate()'; s = new slide(); s.src = "//pix.idxre.com/pix/LANOMAR/main/0/2170479_0.jpg"; s.link = "//elitesouthernrealty.com/homes-for-sale-details/5360-CHESTNUT-STREET-NEW-ORLEANS-LA-70115/2170479/150/"; s.text = "
"; SLIDES.add_slide(s); //s.filter = 'progid:DXImageTransform.Microsoft.Pixelate()'; s = new slide(); s.src = "//pix.idxre.com/pix/LANOMAR/main/0/2176821_0.jpg"; s.link = "//elitesouthernrealty.com/homes-for-sale-details/840-CARONDELET-STREET-504-NEW-ORLEANS-LA-70130/2176821/150/"; s.text = "
"; SLIDES.add_slide(s); //s.filter = 'progid:DXImageTransform.Microsoft.Pixelate()'; s = new slide(); s.src = "//pix.idxre.com/pix/LANOMAR/main/0/2185254_0.jpg"; s.link = "//elitesouthernrealty.com/homes-for-sale-details/6262-PRYTANIA-STREET-NEW-ORLEANS-LA-70118/2185254/150/"; s.text = "
"; SLIDES.add_slide(s); //s.filter = 'progid:DXImageTransform.Microsoft.Pixelate()'; s = new slide(); s.src = "//pix.idxre.com/pix/LANOMAR/main/0/2194137_0.jpg"; s.link = "//elitesouthernrealty.com/homes-for-sale-details/88-ORIOLE-STREET-NEW-ORLEANS-LA-70124/2194137/150/"; s.text = "
"; SLIDES.add_slide(s); //s.filter = 'progid:DXImageTransform.Microsoft.Pixelate()'; s = new slide(); s.src = "//pix.idxre.com/pix/LANOMAR/main/0/2196796_0.jpg"; s.link = "//elitesouthernrealty.com/homes-for-sale-details/1507-EXPOSITION-BOULEVARD-NEW-ORLEANS-LA-70118/2196796/150/"; s.text = "
"; SLIDES.add_slide(s); //s.filter = 'progid:DXImageTransform.Microsoft.Pixelate()'; s = new slide(); s.src = "//pix.idxre.com/pix/LANOMAR/main/0/2187671_0.jpg"; s.link = "//elitesouthernrealty.com/homes-for-sale-details/911-HENRY-CLAY-AVENUE-NEW-ORLEANS-LA-70118/2187671/150/"; s.text = "
"; SLIDES.add_slide(s); //s.filter = 'progid:DXImageTransform.Microsoft.Pixelate()'; s = new slide(); s.src = "//pix.idxre.com/pix/LANOMAR/main/0/2193892_0.jpg"; s.link = "//elitesouthernrealty.com/homes-for-sale-details/19-RICHMOND-PLACE-NEW-ORLEANS-LA-70115/2193892/150/"; s.text = "
"; SLIDES.add_slide(s); //s.filter = 'progid:DXImageTransform.Microsoft.Pixelate()'; s = new slide(); s.src = "//pix.idxre.com/pix/LANOMAR/main/0/2162560_0.jpg"; s.link = "//elitesouthernrealty.com/homes-for-sale-details/1100-ANNUNCIATION-STREET-1405-NEW-ORLEANS-LA-70130/2162560/150/"; s.text = "
"; SLIDES.add_slide(s); //s.filter = 'progid:DXImageTransform.Microsoft.Pixelate()'; s = new slide(); s.src = "//pix.idxre.com/pix/LANOMAR/main/0/2186031_0.jpg"; s.link = "//elitesouthernrealty.com/homes-for-sale-details/840-TCHOUPITOULAS-STREET-101-NEW-ORLEANS-LA-70130/2186031/150/"; s.text = "
"; SLIDES.add_slide(s); //s.filter = 'progid:DXImageTransform.Microsoft.Pixelate()'; s = new slide(); s.src = "//pix.idxre.com/pix/LANOMAR/main/0/2187123_0.jpg"; s.link = "//elitesouthernrealty.com/homes-for-sale-details/1319-ELEONORE-STREET-NEW-ORLEANS-LA-70115/2187123/150/"; s.text = "
"; SLIDES.add_slide(s); //s.filter = 'progid:DXImageTransform.Microsoft.Pixelate()'; s = new slide(); s.src = "//pix.idxre.com/pix/LANOMAR/main/0/2194309_0.jpg"; s.link = "//elitesouthernrealty.com/homes-for-sale-details/232-LAKE-MARINA-DRIVE-5C-NEW-ORLEANS-LA-70124/2194309/150/"; s.text = "
"; SLIDES.add_slide(s); //s.filter = 'progid:DXImageTransform.Microsoft.Pixelate()'; s = new slide(); s.src = "//pix.idxre.com/pix/LANOMAR/main/0/2153472_0.jpg"; s.link = "//elitesouthernrealty.com/homes-for-sale-details/2302-ST-CHARLES-AVENUE-3A-AMP-B-NEW-ORLEANS-LA-70130/2153472/150/"; s.text = "
"; SLIDES.add_slide(s); //s.filter = 'progid:DXImageTransform.Microsoft.Pixelate()'; s = new slide(); s.src = "//pix.idxre.com/pix/LANOMAR/main/0/2176243_0.jpg"; s.link = "//elitesouthernrealty.com/homes-for-sale-details/1692-ROBERT-STREET-NEW-ORLEANS-LA-70115/2176243/150/"; s.text = "
"; SLIDES.add_slide(s); //s.filter = 'progid:DXImageTransform.Microsoft.Pixelate()'; s = new slide(); s.src = "//pix.idxre.com/pix/LANOMAR/main/0/2198840_0.jpg"; s.link = "//elitesouthernrealty.com/homes-for-sale-details/18-RICHMOND-PLACE-NEW-ORLEANS-LA-70115/2198840/150/"; s.text = "
"; SLIDES.add_slide(s); //s.filter = 'progid:DXImageTransform.Microsoft.Pixelate()'; s = new slide(); s.src = "//pix.idxre.com/pix/LANOMAR/main/0/2199489_0.jpg"; s.link = "//elitesouthernrealty.com/homes-for-sale-details/1117-NASHVILLE-AVENUE-NEW-ORLEANS-LA-70115/2199489/150/"; s.text = "
"; SLIDES.add_slide(s); //s.filter = 'progid:DXImageTransform.Microsoft.Pixelate()'; s = new slide(); s.src = "//pix.idxre.com/pix/LANOMAR/main/0/2199493_0.jpg"; s.link = "//elitesouthernrealty.com/homes-for-sale-details/1111-NASHVILLE-AVENUE-NEW-ORLEANS-LA-70115/2199493/150/"; s.text = "
"; SLIDES.add_slide(s); //s.filter = 'progid:DXImageTransform.Microsoft.Pixelate()'; s = new slide(); s.src = "//pix.idxre.com/pix/LANOMAR/main/0/2194429_0.jpg"; s.link = "//elitesouthernrealty.com/homes-for-sale-details/632-PIRATES-ALLEY-A-NEW-ORLEANS-LA-70116/2194429/150/"; s.text = "
"; SLIDES.add_slide(s); //s.filter = 'progid:DXImageTransform.Microsoft.Pixelate()'; s = new slide(); s.src = "//pix.idxre.com/pix/LANOMAR/main/0/2195404_0.jpg"; s.link = "//elitesouthernrealty.com/homes-for-sale-details/712-ROYAL-712-NEW-ORLEANS-LA-70116/2195404/150/"; s.text = "
"; SLIDES.add_slide(s); //s.filter = 'progid:DXImageTransform.Microsoft.Pixelate()'; s = new slide(); s.src = "//pix.idxre.com/pix/LANOMAR/main/0/2196129_0.jpg"; s.link = "//elitesouthernrealty.com/homes-for-sale-details/2919-PRYTANIA-STREET-NEW-ORLEANS-LA-70115/2196129/150/"; s.text = "
"; SLIDES.add_slide(s); //s.filter = 'progid:DXImageTransform.Microsoft.Pixelate()'; s = new slide(); s.src = "//pix.idxre.com/pix/LANOMAR/main/0/2195619_0.jpg"; s.link = "//elitesouthernrealty.com/homes-for-sale-details/600-PORT-OF-NEW-ORLEANS-PLACE-3B-NEW-ORLEANS-LA-70130/2195619/150/"; s.text = "
"; SLIDES.add_slide(s); //s.filter = 'progid:DXImageTransform.Microsoft.Pixelate()'; s = new slide(); s.src = "//pix.idxre.com/pix/LANOMAR/main/0/2167374_0.jpg"; s.link = "//elitesouthernrealty.com/homes-for-sale-details/1100-ANNUNCIATION-STREET-1305-NEW-ORLEANS-LA-70130/2167374/150/"; s.text = "
"; SLIDES.add_slide(s); //s.filter = 'progid:DXImageTransform.Microsoft.Pixelate()'; s = new slide(); s.src = "//pix.idxre.com/pix/LANOMAR/main/0/2189278_0.jpg"; s.link = "//elitesouthernrealty.com/homes-for-sale-details/4918-BANCROFT-DRIVE-NEW-ORLEANS-LA-70122/2189278/150/"; s.text = "
"; SLIDES.add_slide(s); //s.filter = 'progid:DXImageTransform.Microsoft.Pixelate()'; s = new slide(); s.src = "//pix.idxre.com/pix/LANOMAR/main/0/2136365_0.jpg"; s.link = "//elitesouthernrealty.com/homes-for-sale-details/620-DECATUR-STREET-5C-NEW-ORLEANS-LA-70130/2136365/150/"; s.text = "
"; SLIDES.add_slide(s); //s.filter = 'progid:DXImageTransform.Microsoft.Pixelate()'; s = new slide(); s.src = "//pix.idxre.com/pix/LANOMAR/main/0/2171298_0.jpg"; s.link = "//elitesouthernrealty.com/homes-for-sale-details/711-TCHOUPITOULAS-STREET-403-NEW-ORLEANS-LA-70130/2171298/150/"; s.text = "
"; SLIDES.add_slide(s); //s.filter = 'progid:DXImageTransform.Microsoft.Pixelate()'; s = new slide(); s.src = "//pix.idxre.com/pix/LANOMAR/main/0/2152412_0.jpg"; s.link = "//elitesouthernrealty.com/homes-for-sale-details/1100-ANNUNCIATION-STREET-PH2-NEW-ORLEANS-LA-70130/2152412/150/"; s.text = "
"; SLIDES.add_slide(s); //s.filter = 'progid:DXImageTransform.Microsoft.Pixelate()'; s = new slide(); s.src = "//pix.idxre.com/pix/LANOMAR/main/0/2192645_0.jpg"; s.link = "//elitesouthernrealty.com/homes-for-sale-details/1414-ELEONORE-STREET-NEW-ORLEANS-LA-70115/2192645/150/"; s.text = "
"; SLIDES.add_slide(s); //s.filter = 'progid:DXImageTransform.Microsoft.Pixelate()'; s = new slide(); s.src = "//pix.idxre.com/pix/LANOMAR/main/0/2194212_0.jpg"; s.link = "//elitesouthernrealty.com/homes-for-sale-details/1014-ST-PETER-STREET-NEW-ORLEANS-LA-70116/2194212/150/"; s.text = "
"; SLIDES.add_slide(s); //s.filter = 'progid:DXImageTransform.Microsoft.Pixelate()'; s = new slide(); s.src = "//pix.idxre.com/pix/LANOMAR/main/0/2199649_0.jpg"; s.link = "//elitesouthernrealty.com/homes-for-sale-details/618-N-RAMPART-STREET-201-NEW-ORLEANS-LA-70112/2199649/150/"; s.text = "
"; SLIDES.add_slide(s); //s.filter = 'progid:DXImageTransform.Microsoft.Pixelate()'; s = new slide(); s.src = "//pix.idxre.com/pix/LANOMAR/main/0/2195701_0.jpg"; s.link = "//elitesouthernrealty.com/homes-for-sale-details/1324-ORIOLE-STREET-NEW-ORLEANS-LA-70122/2195701/150/"; s.text = "
"; SLIDES.add_slide(s); //s.filter = 'progid:DXImageTransform.Microsoft.Pixelate()'; s = new slide(); s.src = "//pix.idxre.com/pix/LANOMAR/main/0/2182860_0.jpg"; s.link = "//elitesouthernrealty.com/homes-for-sale-details/2010-PALMER-AVENUE-NEW-ORLEANS-LA-70118/2182860/150/"; s.text = "
"; SLIDES.add_slide(s); //s.filter = 'progid:DXImageTransform.Microsoft.Pixelate()'; s = new slide(); s.src = "//pix.idxre.com/pix/LANOMAR/main/0/2194506_0.jpg"; s.link = "//elitesouthernrealty.com/homes-for-sale-details/6028-PRYTANIA-STREET-NEW-ORLEANS-LA-70118/2194506/150/"; s.text = "
"; SLIDES.add_slide(s); //s.filter = 'progid:DXImageTransform.Microsoft.Pixelate()'; s = new slide(); s.src = "//pix.idxre.com/pix/LANOMAR/main/0/2200261_0.jpg"; s.link = "//elitesouthernrealty.com/homes-for-sale-details/1205-ARABELLA-STREET-NEW-ORLEANS-LA-70115/2200261/150/"; s.text = "
"; SLIDES.add_slide(s); //s.filter = 'progid:DXImageTransform.Microsoft.Pixelate()'; s = new slide(); s.src = "//pix.idxre.com/pix/LANOMAR/main/0/2185098_0.jpg"; s.link = "//elitesouthernrealty.com/homes-for-sale-details/1011-ORLEANS-AVENUE-NEW-ORLEANS-LA-70116/2185098/150/"; s.text = "
"; SLIDES.add_slide(s); //s.filter = 'progid:DXImageTransform.Microsoft.Pixelate()'; s = new slide(); s.src = "//pix.idxre.com/pix/LANOMAR/main/0/2197316_0.jpg"; s.link = "//elitesouthernrealty.com/homes-for-sale-details/923-HENRY-CLAY-AVENUE-NEW-ORLEANS-LA-70118/2197316/150/"; s.text = "
"; SLIDES.add_slide(s); //s.filter = 'progid:DXImageTransform.Microsoft.Pixelate()'; s = new slide(); s.src = "//pix.idxre.com/pix/LANOMAR/main/0/2168805_0.jpg"; s.link = "//elitesouthernrealty.com/homes-for-sale-details/936-ESPLANADE-AVENUE-NEW-ORLEANS-LA-70116/2168805/150/"; s.text = "
"; SLIDES.add_slide(s); //s.filter = 'progid:DXImageTransform.Microsoft.Pixelate()'; s = new slide(); s.src = "//pix.idxre.com/pix/LANOMAR/main/0/2168825_0.jpg"; s.link = "//elitesouthernrealty.com/homes-for-sale-details/936-ESPLANADE-AVENUE-NEW-ORLEANS-LA-70116/2168825/150/"; s.text = "
"; SLIDES.add_slide(s); //s.filter = 'progid:DXImageTransform.Microsoft.Pixelate()'; s = new slide(); s.src = "//pix.idxre.com/pix/LANOMAR/main/0/2190594_0.jpg"; s.link = "//elitesouthernrealty.com/homes-for-sale-details/1139-ROYAL-STREET-NEW-ORLEANS-LA-70116/2190594/150/"; s.text = "
"; SLIDES.add_slide(s); //s.filter = 'progid:DXImageTransform.Microsoft.Pixelate()'; s = new slide(); s.src = "//pix.idxre.com/pix/LANOMAR/main/0/2190950_0.jpg"; s.link = "//elitesouthernrealty.com/homes-for-sale-details/1139-ROYAL-STREET-NEW-ORLEANS-LA-70116/2190950/150/"; s.text = "
"; SLIDES.add_slide(s); //s.filter = 'progid:DXImageTransform.Microsoft.Pixelate()'; s = new slide(); s.src = "//pix.idxre.com/pix/LANOMAR/main/0/2191528_0.jpg"; s.link = "//elitesouthernrealty.com/homes-for-sale-details/1314-NAPOLEON-AVENUE-11-NEW-ORLEANS-LA-70115/2191528/150/"; s.text = "
"; SLIDES.add_slide(s); //s.filter = 'progid:DXImageTransform.Microsoft.Pixelate()'; s = new slide(); s.src = "//pix.idxre.com/pix/LANOMAR/main/0/2194177_0.jpg"; s.link = "//elitesouthernrealty.com/homes-for-sale-details/1302-JACKSON-AVENUE-NEW-ORLEANS-LA-70130/2194177/150/"; s.text = "
"; SLIDES.add_slide(s); //s.filter = 'progid:DXImageTransform.Microsoft.Pixelate()'; s = new slide(); s.src = "//pix.idxre.com/pix/LANOMAR/main/0/2196407_0.jpg"; s.link = "//elitesouthernrealty.com/homes-for-sale-details/2523-BURGUNDY-STREET-NEW-ORLEANS-LA-70117/2196407/150/"; s.text = "
"; SLIDES.add_slide(s); //s.filter = 'progid:DXImageTransform.Microsoft.Pixelate()'; s = new slide(); s.src = "//pix.idxre.com/pix/LANOMAR/main/0/2197731_0.jpg"; s.link = "//elitesouthernrealty.com/homes-for-sale-details/1640-ARABELLA-STREET-NEW-ORLEANS-LA-70115/2197731/150/"; s.text = "
"; SLIDES.add_slide(s); //s.filter = 'progid:DXImageTransform.Microsoft.Pixelate()'; s = new slide(); s.src = "//pix.idxre.com/pix/LANOMAR/main/0/2155128_0.jpg"; s.link = "//elitesouthernrealty.com/homes-for-sale-details/7526-ST-CHARLES-AVENUE-NEW-ORLEANS-LA-70118/2155128/150/"; s.text = "
"; SLIDES.add_slide(s); //s.filter = 'progid:DXImageTransform.Microsoft.Pixelate()'; s = new slide(); s.src = "//pix.idxre.com/pix/LANOMAR/main/0/2178138_0.jpg"; s.link = "//elitesouthernrealty.com/homes-for-sale-details/1450-LOUISIANA-AVENUE-NEW-ORLEANS-LA-70115/2178138/150/"; s.text = "
"; SLIDES.add_slide(s); //s.filter = 'progid:DXImageTransform.Microsoft.Pixelate()'; s = new slide(); s.src = "//pix.idxre.com/pix/LANOMAR/main/0/2136354_0.jpg"; s.link = "//elitesouthernrealty.com/homes-for-sale-details/833-ESPLANADE-AVENUE-NEW-ORLEANS-LA-70116/2136354/150/"; s.text = "
"; SLIDES.add_slide(s); //s.filter = 'progid:DXImageTransform.Microsoft.Pixelate()'; s = new slide(); s.src = "//pix.idxre.com/pix/LANOMAR/main/0/2193212_0.jpg"; s.link = "//elitesouthernrealty.com/homes-for-sale-details/1425-ELEONORE-STREET-NEW-ORLEANS-LA-70115/2193212/150/"; s.text = "
"; SLIDES.add_slide(s); //s.filter = 'progid:DXImageTransform.Microsoft.Pixelate()'; s = new slide(); s.src = "//pix.idxre.com/pix/LANOMAR/main/0/2193424_0.jpg"; s.link = "//elitesouthernrealty.com/homes-for-sale-details/201-FAIRWAY-DRIVE-NEW-ORLEANS-LA-70124/2193424/150/"; s.text = "
"; SLIDES.add_slide(s); //s.filter = 'progid:DXImageTransform.Microsoft.Pixelate()'; s = new slide(); s.src = "//pix.idxre.com/pix/LANOMAR/main/0/2194250_0.jpg"; s.link = "//elitesouthernrealty.com/homes-for-sale-details/2227-ROYAL-STREET-NEW-ORLEANS-LA-70117/2194250/150/"; s.text = "
"; SLIDES.add_slide(s); //s.filter = 'progid:DXImageTransform.Microsoft.Pixelate()'; s = new slide(); s.src = "//pix.idxre.com/pix/LANOMAR/main/0/2195400_0.jpg"; s.link = "//elitesouthernrealty.com/homes-for-sale-details/5926-CONSTANCE-STREET-NEW-ORLEANS-LA-70115/2195400/150/"; s.text = "
"; SLIDES.add_slide(s); //s.filter = 'progid:DXImageTransform.Microsoft.Pixelate()'; s = new slide(); s.src = "//pix.idxre.com/pix/LANOMAR/main/0/2174977_0.jpg"; s.link = "//elitesouthernrealty.com/homes-for-sale-details/81-AUDUBON-BOULEVARD-NEW-ORLEANS-LA-70118/2174977/150/"; s.text = "
"; SLIDES.add_slide(s); //s.filter = 'progid:DXImageTransform.Microsoft.Pixelate()'; s = new slide(); s.src = "//pix.idxre.com/pix/LANOMAR/main/0/2200173_0.jpg"; s.link = "//elitesouthernrealty.com/homes-for-sale-details/1001-JULIA-STREET-12C-NEW-ORLEANS-LA-70113/2200173/150/"; s.text = "
"; SLIDES.add_slide(s); //s.filter = 'progid:DXImageTransform.Microsoft.Pixelate()'; s = new slide(); s.src = "//pix.idxre.com/pix/LANOMAR/main/0/2194122_0.jpg"; s.link = "//elitesouthernrealty.com/homes-for-sale-details/1009-ST-LOUIS-STREET-NEW-ORLEANS-LA-70112/2194122/150/"; s.text = "
"; SLIDES.add_slide(s); //s.filter = 'progid:DXImageTransform.Microsoft.Pixelate()'; s = new slide(); s.src = "//pix.idxre.com/pix/LANOMAR/main/0/2186805_0.jpg"; s.link = "//elitesouthernrealty.com/homes-for-sale-details/628-ESPLANADE-AVENUE-A-2-NEW-ORLEANS-LA-70116/2186805/150/"; s.text = "
"; SLIDES.add_slide(s); //s.filter = 'progid:DXImageTransform.Microsoft.Pixelate()'; s = new slide(); s.src = "//pix.idxre.com/pix/LANOMAR/main/0/2196238_0.jpg"; s.link = "//elitesouthernrealty.com/homes-for-sale-details/7050-CAMP-STREET-NEW-ORLEANS-LA-70118/2196238/150/"; s.text = "
"; SLIDES.add_slide(s); //s.filter = 'progid:DXImageTransform.Microsoft.Pixelate()'; s = new slide(); s.src = "//pix.idxre.com/pix/LANOMAR/main/0/2199667_0.jpg"; s.link = "//elitesouthernrealty.com/homes-for-sale-details/618-N-RAMPART-STREET-203-NEW-ORLEANS-LA-70112/2199667/150/"; s.text = "
"; SLIDES.add_slide(s); //s.filter = 'progid:DXImageTransform.Microsoft.Pixelate()'; s = new slide(); s.src = "//pix.idxre.com/pix/LANOMAR/main/0/2187042_0.jpg"; s.link = "//elitesouthernrealty.com/homes-for-sale-details/1479-NASHVILLE-AVENUE-NEW-ORLEANS-LA-70115/2187042/150/"; s.text = "
"; SLIDES.add_slide(s); //s.filter = 'progid:DXImageTransform.Microsoft.Pixelate()'; s = new slide(); s.src = "//pix.idxre.com/pix/LANOMAR/main/0/2187908_0.jpg"; s.link = "//elitesouthernrealty.com/homes-for-sale-details/414-HENRY-CLAY-AVENUE-NEW-ORLEANS-LA-70118/2187908/150/"; s.text = "
"; SLIDES.add_slide(s); //s.filter = 'progid:DXImageTransform.Microsoft.Pixelate()'; s = new slide(); s.src = "//pix.idxre.com/pix/LANOMAR/main/0/2188165_0.jpg"; s.link = "//elitesouthernrealty.com/homes-for-sale-details/1313-JEFFERSON-AVENUE-NEW-ORLEANS-LA-70115/2188165/150/"; s.text = "
"; SLIDES.add_slide(s); //s.filter = 'progid:DXImageTransform.Microsoft.Pixelate()'; s = new slide(); s.src = "//pix.idxre.com/pix/LANOMAR/main/0/2190914_0.jpg"; s.link = "//elitesouthernrealty.com/homes-for-sale-details/1110-ROYAL-STREET-2-NEW-ORLEANS-LA-70116/2190914/150/"; s.text = "
"; SLIDES.add_slide(s); //s.filter = 'progid:DXImageTransform.Microsoft.Pixelate()'; s = new slide(); s.src = "//pix.idxre.com/pix/LANOMAR/main/0/2195453_0.jpg"; s.link = "//elitesouthernrealty.com/homes-for-sale-details/166-AUDUBON-BOULEVARD-NEW-ORLEANS-LA-70118/2195453/150/"; s.text = "
"; SLIDES.add_slide(s); //s.filter = 'progid:DXImageTransform.Microsoft.Pixelate()'; s = new slide(); s.src = "//pix.idxre.com/pix/LANOMAR/main/0/2186139_0.jpg"; s.link = "//elitesouthernrealty.com/homes-for-sale-details/920-AMETHYST-STREET-NEW-ORLEANS-LA-70124/2186139/150/"; s.text = "
"; SLIDES.add_slide(s); //s.filter = 'progid:DXImageTransform.Microsoft.Pixelate()'; s = new slide(); s.src = "//pix.idxre.com/pix/LANOMAR/main/0/2193169_0.jpg"; s.link = "//elitesouthernrealty.com/homes-for-sale-details/3804-PRYTANIA-STREET-NEW-ORLEANS-LA-70115/2193169/150/"; s.text = "
"; SLIDES.add_slide(s); //s.filter = 'progid:DXImageTransform.Microsoft.Pixelate()'; s = new slide(); s.src = "//pix.idxre.com/pix/LANOMAR/main/0/2199287_0.jpg"; s.link = "//elitesouthernrealty.com/homes-for-sale-details/425-NOTRE-DAME-STREET-404-NEW-ORLEANS-LA-70130/2199287/150/"; s.text = "
"; SLIDES.add_slide(s); //s.filter = 'progid:DXImageTransform.Microsoft.Pixelate()'; s = new slide(); s.src = "//pix.idxre.com/pix/LANOMAR/main/0/2193655_0.jpg"; s.link = "//elitesouthernrealty.com/homes-for-sale-details/1026-VALENCE-STREET-NEW-ORLEANS-LA-70115/2193655/150/"; s.text = "
"; SLIDES.add_slide(s); //s.filter = 'progid:DXImageTransform.Microsoft.Pixelate()'; s = new slide(); s.src = "//pix.idxre.com/pix/LANOMAR/main/0/2199669_0.jpg"; s.link = "//elitesouthernrealty.com/homes-for-sale-details/618-N-RAMPART-STREET-202-NEW-ORLEANS-LA-70112/2199669/150/"; s.text = "
"; SLIDES.add_slide(s); //s.filter = 'progid:DXImageTransform.Microsoft.Pixelate()'; s = new slide(); s.src = "//pix.idxre.com/pix/LANOMAR/main/0/2186842_0.jpg"; s.link = "//elitesouthernrealty.com/homes-for-sale-details/3227-COLISEUM-STREET-NEW-ORLEANS-LA-70115/2186842/150/"; s.text = "
"; SLIDES.add_slide(s); //s.filter = 'progid:DXImageTransform.Microsoft.Pixelate()'; s = new slide(); s.src = "//pix.idxre.com/pix/LANOMAR/main/0/2200003_0.jpg"; s.link = "//elitesouthernrealty.com/homes-for-sale-details/400-LAKE-MARINA-DRIVE-601E-NEW-ORLEANS-LA-70124/2200003/150/"; s.text = "
"; SLIDES.add_slide(s); //s.filter = 'progid:DXImageTransform.Microsoft.Pixelate()'; s = new slide(); s.src = "//pix.idxre.com/pix/LANOMAR/main/0/2176433_0.jpg"; s.link = "//elitesouthernrealty.com/homes-for-sale-details/828-ST-CHARLES-AVENUE-12-NEW-ORLEANS-LA-70130/2176433/150/"; s.text = "
"; SLIDES.add_slide(s); //s.filter = 'progid:DXImageTransform.Microsoft.Pixelate()'; s = new slide(); s.src = "//pix.idxre.com/pix/LANOMAR/main/0/2192049_0.jpg"; s.link = "//elitesouthernrealty.com/homes-for-sale-details/5724-BANCROFT-DRIVE-NEW-ORLEANS-LA-70122/2192049/150/"; s.text = "
"; SLIDES.add_slide(s); //s.filter = 'progid:DXImageTransform.Microsoft.Pixelate()'; s = new slide(); s.src = "//pix.idxre.com/pix/LANOMAR/main/0/2200004_0.jpg"; s.link = "//elitesouthernrealty.com/homes-for-sale-details/400-LAKE-MARINA-DRIVE-602W-NEW-ORLEANS-LA-70124/2200004/150/"; s.text = "
"; SLIDES.add_slide(s); //s.filter = 'progid:DXImageTransform.Microsoft.Pixelate()'; s = new slide(); s.src = "//pix.idxre.com/pix/LANOMAR/main/0/2194098_0.jpg"; s.link = "//elitesouthernrealty.com/homes-for-sale-details/830-AUDUBON-STREET-NEW-ORLEANS-LA-70118/2194098/150/"; s.text = "
"; SLIDES.add_slide(s); //s.filter = 'progid:DXImageTransform.Microsoft.Pixelate()'; s = new slide(); s.src = "//pix.idxre.com/pix/LANOMAR/main/0/2195559_0.jpg"; s.link = "//elitesouthernrealty.com/homes-for-sale-details/10-FINCH-STREET-NEW-ORLEANS-LA-70124/2195559/150/"; s.text = "
"; SLIDES.add_slide(s); //s.filter = 'progid:DXImageTransform.Microsoft.Pixelate()'; s = new slide(); s.src = "//pix.idxre.com/pix/LANOMAR/main/0/2176211_0.jpg"; s.link = "//elitesouthernrealty.com/homes-for-sale-details/332-WALNUT-STREET-NEW-ORLEANS-LA-70118/2176211/150/"; s.text = "
"; SLIDES.add_slide(s); //s.filter = 'progid:DXImageTransform.Microsoft.Pixelate()'; s = new slide(); s.src = "//pix.idxre.com/pix/LANOMAR/main/0/2192917_0.jpg"; s.link = "//elitesouthernrealty.com/homes-for-sale-details/1001-JULIA-STREET-6E-NEW-ORLEANS-LA-70113/2192917/150/"; s.text = "
"; SLIDES.add_slide(s); //s.filter = 'progid:DXImageTransform.Microsoft.Pixelate()'; s = new slide(); s.src = "//pix.idxre.com/pix/LANOMAR/main/0/2195514_0.jpg"; s.link = "//elitesouthernrealty.com/homes-for-sale-details/6964-VICKSBURG-STREET-NEW-ORLEANS-LA-70124/2195514/150/"; s.text = "
"; SLIDES.add_slide(s); //s.filter = 'progid:DXImageTransform.Microsoft.Pixelate()'; s = new slide(); s.src = "//pix.idxre.com/pix/LANOMAR/main/0/2197186_0.jpg"; s.link = "//elitesouthernrealty.com/homes-for-sale-details/7111-ST-CHARLES-AVENUE-NEW-ORLEANS-LA-70118/2197186/150/"; s.text = "
"; SLIDES.add_slide(s); //s.filter = 'progid:DXImageTransform.Microsoft.Pixelate()'; s = new slide(); s.src = "//pix.idxre.com/pix/LANOMAR/main/0/2197553_0.jpg"; s.link = "//elitesouthernrealty.com/homes-for-sale-details/1455-ELEONORE-STREET-NEW-ORLEANS-LA-70115/2197553/150/"; s.text = "
"; SLIDES.add_slide(s); //s.filter = 'progid:DXImageTransform.Microsoft.Pixelate()'; s = new slide(); s.src = "//pix.idxre.com/pix/LANOMAR/main/0/2197927_0.jpg"; s.link = "//elitesouthernrealty.com/homes-for-sale-details/924-DAUPHINE-STREET-924-NEW-ORLEANS-LA-70116/2197927/150/"; s.text = "
"; SLIDES.add_slide(s); //s.filter = 'progid:DXImageTransform.Microsoft.Pixelate()'; s = new slide(); s.src = "//pix.idxre.com/pix/LANOMAR/main/0/2188696_0.jpg"; s.link = "//elitesouthernrealty.com/homes-for-sale-details/1217-MAGAZINE-STREET-NEW-ORLEANS-LA-70130/2188696/150/"; s.text = "
"; SLIDES.add_slide(s); //s.filter = 'progid:DXImageTransform.Microsoft.Pixelate()'; s = new slide(); s.src = "//pix.idxre.com/pix/LANOMAR/main/0/2111818_0.jpg"; s.link = "//elitesouthernrealty.com/homes-for-sale-details/1425-N-PRIEUR-STREET-NEW-ORLEANS-LA-70116/2111818/150/"; s.text = "
"; SLIDES.add_slide(s); //s.filter = 'progid:DXImageTransform.Microsoft.Pixelate()'; s = new slide(); s.src = "//pix.idxre.com/pix/LANOMAR/main/0/2199998_0.jpg"; s.link = "//elitesouthernrealty.com/homes-for-sale-details/400-LAKE-MARINA-DRIVE-501E-NEW-ORLEANS-LA-70124/2199998/150/"; s.text = "
"; SLIDES.add_slide(s); //s.filter = 'progid:DXImageTransform.Microsoft.Pixelate()'; s = new slide(); s.src = "//pix.idxre.com/pix/LANOMAR/main/0/2160780_0.jpg"; s.link = "//elitesouthernrealty.com/homes-for-sale-details/731-ST-CHARLES-AVENUE-203-NEW-ORLEANS-LA-70130/2160780/150/"; s.text = "
"; SLIDES.add_slide(s); //s.filter = 'progid:DXImageTransform.Microsoft.Pixelate()'; s = new slide(); s.src = "//pix.idxre.com/pix/LANOMAR/main/0/2155841_0.jpg"; s.link = "//elitesouthernrealty.com/homes-for-sale-details/731-ST-CHARLES-AVENUE-303-NEW-ORLEANS-LA-70130/2155841/150/"; s.text = "
"; SLIDES.add_slide(s); //s.filter = 'progid:DXImageTransform.Microsoft.Pixelate()'; s = new slide(); s.src = "//pix.idxre.com/pix/LANOMAR/main/0/2188982_0.jpg"; s.link = "//elitesouthernrealty.com/homes-for-sale-details/1100-ANNUNCIATION-STREET-1205-NEW-ORLEANS-LA-70130/2188982/150/"; s.text = "
"; SLIDES.add_slide(s); //s.filter = 'progid:DXImageTransform.Microsoft.Pixelate()'; s = new slide(); s.src = "//pix.idxre.com/pix/LANOMAR/main/0/2178326_0.jpg"; s.link = "//elitesouthernrealty.com/homes-for-sale-details/628-ESPLANADE-AVENUE-A1-NEW-ORLEANS-LA-70116/2178326/150/"; s.text = "
"; SLIDES.add_slide(s); //s.filter = 'progid:DXImageTransform.Microsoft.Pixelate()'; s = new slide(); s.src = "//pix.idxre.com/pix/LANOMAR/main/0/2197051_0.jpg"; s.link = "//elitesouthernrealty.com/homes-for-sale-details/1427-LOUISIANA-AVENUE-NEW-ORLEANS-LA-70115/2197051/150/"; s.text = "
"; SLIDES.add_slide(s); //s.filter = 'progid:DXImageTransform.Microsoft.Pixelate()'; s = new slide(); s.src = "//pix.idxre.com/pix/LANOMAR/main/0/2200002_0.jpg"; s.link = "//elitesouthernrealty.com/homes-for-sale-details/400-LAKE-MARINA-DRIVE-502W-NEW-ORLEANS-LA-70124/2200002/150/"; s.text = "
"; SLIDES.add_slide(s); //s.filter = 'progid:DXImageTransform.Microsoft.Pixelate()'; s = new slide(); s.src = "//pix.idxre.com/pix/LANOMAR/main/0/2194920_0.jpg"; s.link = "//elitesouthernrealty.com/homes-for-sale-details/6027-LAUREL-STREET-NEW-ORLEANS-LA-70118/2194920/150/"; s.text = "
"; SLIDES.add_slide(s); //s.filter = 'progid:DXImageTransform.Microsoft.Pixelate()'; s = new slide(); s.src = "//pix.idxre.com/pix/LANOMAR/main/0/2199997_0.jpg"; s.link = "//elitesouthernrealty.com/homes-for-sale-details/400-LAKE-MARINA-DRIVE-401E-NEW-ORLEANS-LA-70124/2199997/150/"; s.text = "
"; SLIDES.add_slide(s); //s.filter = 'progid:DXImageTransform.Microsoft.Pixelate()'; s = new slide(); s.src = "//pix.idxre.com/pix/LANOMAR/main/0/2192039_0.jpg"; s.link = "//elitesouthernrealty.com/homes-for-sale-details/5127-LAUREL-STREET-NEW-ORLEANS-LA-70115/2192039/150/"; s.text = "
"; SLIDES.add_slide(s); //s.filter = 'progid:DXImageTransform.Microsoft.Pixelate()'; s = new slide(); s.src = "//pix.idxre.com/pix/LANOMAR/main/0/2197113_0.jpg"; s.link = "//elitesouthernrealty.com/homes-for-sale-details/6762-COLBERT-STREET-NEW-ORLEANS-LA-70124/2197113/150/"; s.text = "
"; SLIDES.add_slide(s); //s.filter = 'progid:DXImageTransform.Microsoft.Pixelate()'; s = new slide(); s.src = "//pix.idxre.com/pix/LANOMAR/main/0/2173112_0.jpg"; s.link = "//elitesouthernrealty.com/homes-for-sale-details/1125-DELACHAISE-STREET-NEW-ORLEANS-LA-70115/2173112/150/"; s.text = "
"; SLIDES.add_slide(s); //s.filter = 'progid:DXImageTransform.Microsoft.Pixelate()'; s = new slide(); s.src = "//pix.idxre.com/pix/LANOMAR/main/0/2187824_0.jpg"; s.link = "//elitesouthernrealty.com/homes-for-sale-details/7711-BENJAMIN-STREET-NEW-ORLEANS-LA-70118/2187824/150/"; s.text = "
"; SLIDES.add_slide(s); //s.filter = 'progid:DXImageTransform.Microsoft.Pixelate()'; s = new slide(); s.src = "//pix.idxre.com/pix/LANOMAR/main/0/2188636_0.jpg"; s.link = "//elitesouthernrealty.com/homes-for-sale-details/1388-CAMP-STREET-NEW-ORLEANS-LA-70115/2188636/150/"; s.text = "
"; SLIDES.add_slide(s); //s.filter = 'progid:DXImageTransform.Microsoft.Pixelate()'; s = new slide(); s.src = "//pix.idxre.com/pix/LANOMAR/main/0/2191830_0.jpg"; s.link = "//elitesouthernrealty.com/homes-for-sale-details/1011-NASHVILLE-AVENUE-NEW-ORLEANS-LA-70115/2191830/150/"; s.text = "
"; SLIDES.add_slide(s); //s.filter = 'progid:DXImageTransform.Microsoft.Pixelate()'; s = new slide(); s.src = "//pix.idxre.com/pix/LANOMAR/main/0/2194047_0.jpg"; s.link = "//elitesouthernrealty.com/homes-for-sale-details/6022-PITT-STREET-NEW-ORLEANS-LA-70118/2194047/150/"; s.text = "
"; SLIDES.add_slide(s); //s.filter = 'progid:DXImageTransform.Microsoft.Pixelate()'; s = new slide(); s.src = "//pix.idxre.com/pix/LANOMAR/main/0/2200001_0.jpg"; s.link = "//elitesouthernrealty.com/homes-for-sale-details/400-LAKE-MARINA-DRIVE-402W-NEW-ORLEANS-LA-70124/2200001/150/"; s.text = "
"; SLIDES.add_slide(s); //s.filter = 'progid:DXImageTransform.Microsoft.Pixelate()'; s = new slide(); s.src = "//pix.idxre.com/pix/LANOMAR/main/0/2163773_0.jpg"; s.link = "//elitesouthernrealty.com/homes-for-sale-details/1137-NASHVILLE-AVENUE-NEW-ORLEANS-LA-70115/2163773/150/"; s.text = "
"; SLIDES.add_slide(s); //s.filter = 'progid:DXImageTransform.Microsoft.Pixelate()'; s = new slide(); s.src = "//pix.idxre.com/pix/LANOMAR/main/0/2174036_0.jpg"; s.link = "//elitesouthernrealty.com/homes-for-sale-details/5626-PRYTANIA-STREET-NEW-ORLEANS-LA-70115/2174036/150/"; s.text = "
"; SLIDES.add_slide(s); //s.filter = 'progid:DXImageTransform.Microsoft.Pixelate()'; s = new slide(); s.src = "//pix.idxre.com/pix/LANOMAR/main/0/2175536_0.jpg"; s.link = "//elitesouthernrealty.com/homes-for-sale-details/1006-RACE-STREET-NEW-ORLEANS-LA-70130/2175536/150/"; s.text = "
"; SLIDES.add_slide(s); //s.filter = 'progid:DXImageTransform.Microsoft.Pixelate()'; s = new slide(); s.src = "//pix.idxre.com/pix/LANOMAR/main/0/2185859_0.jpg"; s.link = "//elitesouthernrealty.com/homes-for-sale-details/3823-ST-CHARLES-AVENUE-3-NEW-ORLEANS-LA-70115/2185859/150/"; s.text = "
"; SLIDES.add_slide(s); //s.filter = 'progid:DXImageTransform.Microsoft.Pixelate()'; s = new slide(); s.src = "//pix.idxre.com/pix/LANOMAR/main/0/2188087_0.jpg"; s.link = "//elitesouthernrealty.com/homes-for-sale-details/1423-CALHOUN-STREET-NEW-ORLEANS-LA-70118/2188087/150/"; s.text = "
"; SLIDES.add_slide(s); //s.filter = 'progid:DXImageTransform.Microsoft.Pixelate()'; s = new slide(); s.src = "//pix.idxre.com/pix/LANOMAR/main/0/2196363_0.jpg"; s.link = "//elitesouthernrealty.com/homes-for-sale-details/1032-STATE-STREET-NEW-ORLEANS-LA-70118/2196363/150/"; s.text = "
"; SLIDES.add_slide(s); //s.filter = 'progid:DXImageTransform.Microsoft.Pixelate()'; s = new slide(); s.src = "//pix.idxre.com/pix/LANOMAR/main/0/2196418_0.jpg"; s.link = "//elitesouthernrealty.com/homes-for-sale-details/5300-CONSTANCE-STREET-NEW-ORLEANS-LA-70115/2196418/150/"; s.text = "
"; SLIDES.add_slide(s); //s.filter = 'progid:DXImageTransform.Microsoft.Pixelate()'; s = new slide(); s.src = "//pix.idxre.com/pix/LANOMAR/main/0/2199647_0.jpg"; s.link = "//elitesouthernrealty.com/homes-for-sale-details/823-ORLEANS-STREET-NEW-ORLEANS-LA-70116/2199647/150/"; s.text = "
"; SLIDES.add_slide(s); //s.filter = 'progid:DXImageTransform.Microsoft.Pixelate()'; s = new slide(); s.src = "//pix.idxre.com/pix/LANOMAR/main/0/2199950_0.jpg"; s.link = "//elitesouthernrealty.com/homes-for-sale-details/400-LAKE-MARINA-DRIVE-301E-NEW-ORLEANS-LA-70124/2199950/150/"; s.text = "
"; SLIDES.add_slide(s); //s.filter = 'progid:DXImageTransform.Microsoft.Pixelate()'; s = new slide(); s.src = "//pix.idxre.com/pix/LANOMAR/main/0/2191342_0.jpg"; s.link = "//elitesouthernrealty.com/homes-for-sale-details/731-ST-CHARLES-AVENUE-401-NEW-ORLEANS-LA-70130/2191342/150/"; s.text = "
"; SLIDES.add_slide(s); //s.filter = 'progid:DXImageTransform.Microsoft.Pixelate()'; s = new slide(); s.src = "//pix.idxre.com/pix/LANOMAR/main/0/2190055_0.jpg"; s.link = "//elitesouthernrealty.com/homes-for-sale-details/921-DUFOSSAT-STREET-NEW-ORLEANS-LA-70115/2190055/150/"; s.text = "
"; SLIDES.add_slide(s); //s.filter = 'progid:DXImageTransform.Microsoft.Pixelate()'; s = new slide(); s.src = "//pix.idxre.com/pix/LANOMAR/main/0/2194125_0.jpg"; s.link = "//elitesouthernrealty.com/homes-for-sale-details/6207-PERRIER-STREET-NEW-ORLEANS-LA-70118/2194125/150/"; s.text = "
"; SLIDES.add_slide(s); //s.filter = 'progid:DXImageTransform.Microsoft.Pixelate()'; s = new slide(); s.src = "//pix.idxre.com/pix/LANOMAR/main/0/2198009_0.jpg"; s.link = "//elitesouthernrealty.com/homes-for-sale-details/601-NAPOLEON-AVENUE-NEW-ORLEANS-LA-70115/2198009/150/"; s.text = "
"; SLIDES.add_slide(s); //s.filter = 'progid:DXImageTransform.Microsoft.Pixelate()'; s = new slide(); s.src = "//pix.idxre.com/pix/LANOMAR/main/0/2189948_0.jpg"; s.link = "//elitesouthernrealty.com/homes-for-sale-details/1030-STATE-STREET-NEW-ORLEANS-LA-70118/2189948/150/"; s.text = "
"; SLIDES.add_slide(s); //s.filter = 'progid:DXImageTransform.Microsoft.Pixelate()'; s = new slide(); s.src = "//pix.idxre.com/pix/LANOMAR/main/0/2190160_0.jpg"; s.link = "//elitesouthernrealty.com/homes-for-sale-details/5349-PRYTANIA-STREET-NEW-ORLEANS-LA-70115/2190160/150/"; s.text = "
"; SLIDES.add_slide(s); //s.filter = 'progid:DXImageTransform.Microsoft.Pixelate()'; s = new slide(); s.src = "//pix.idxre.com/pix/LANOMAR/main/0/2191095_0.jpg"; s.link = "//elitesouthernrealty.com/homes-for-sale-details/600-PORT-OF-NEW-ORLEANS-PLACE-10H-NEW-ORLEANS-LA-70130/2191095/150/"; s.text = "
"; SLIDES.add_slide(s); //s.filter = 'progid:DXImageTransform.Microsoft.Pixelate()'; s = new slide(); s.src = "//pix.idxre.com/pix/LANOMAR/main/0/2191712_0.jpg"; s.link = "//elitesouthernrealty.com/homes-for-sale-details/730-ST-PHILIP-STREET-C-NEW-ORLEANS-LA-70116/2191712/150/"; s.text = "
"; SLIDES.add_slide(s); //s.filter = 'progid:DXImageTransform.Microsoft.Pixelate()'; s = new slide(); s.src = "//pix.idxre.com/pix/LANOMAR/main/0/2199947_0.jpg"; s.link = "//elitesouthernrealty.com/homes-for-sale-details/400-LAKE-MARINA-DRIVE-302W-NEW-ORLEANS-LA-70124/2199947/150/"; s.text = "
"; SLIDES.add_slide(s); //s.filter = 'progid:DXImageTransform.Microsoft.Pixelate()'; s = new slide(); s.src = "//pix.idxre.com/pix/LANOMAR/main/0/2167369_0.jpg"; s.link = "//elitesouthernrealty.com/homes-for-sale-details/1100-ANNUNCIATION-STREET-1404-NEW-ORLEANS-LA-70130/2167369/150/"; s.text = "
"; SLIDES.add_slide(s); //s.filter = 'progid:DXImageTransform.Microsoft.Pixelate()'; s = new slide(); s.src = "//pix.idxre.com/pix/LANOMAR/main/0/2182765_0.jpg"; s.link = "//elitesouthernrealty.com/homes-for-sale-details/2109-GENERAL-PERSHING-STREET-NEW-ORLEANS-LA-70115/2182765/150/"; s.text = "
"; SLIDES.add_slide(s); //s.filter = 'progid:DXImageTransform.Microsoft.Pixelate()'; s = new slide(); s.src = "//pix.idxre.com/pix/LANOMAR/main/0/2186650_0.jpg"; s.link = "//elitesouthernrealty.com/homes-for-sale-details/1502-CONERY-STREET-NEW-ORLEANS-LA-70115/2186650/150/"; s.text = "
"; SLIDES.add_slide(s); //s.filter = 'progid:DXImageTransform.Microsoft.Pixelate()'; s = new slide(); s.src = "//pix.idxre.com/pix/LANOMAR/main/1/2187969_1.jpg"; s.link = "//elitesouthernrealty.com/homes-for-sale-details/1001-JULIA-STREET-12D-NEW-ORLEANS-LA-70113/2187969/150/"; s.text = "
"; SLIDES.add_slide(s); //s.filter = 'progid:DXImageTransform.Microsoft.Pixelate()'; s = new slide(); s.src = "//pix.idxre.com/pix/LANOMAR/main/0/2176746_0.jpg"; s.link = "//elitesouthernrealty.com/homes-for-sale-details/840-CARONDELET-STREET-502-NEW-ORLEANS-LA-70130/2176746/150/"; s.text = "
"; SLIDES.add_slide(s); //s.filter = 'progid:DXImageTransform.Microsoft.Pixelate()'; s = new slide(); s.src = "//pix.idxre.com/pix/LANOMAR/main/0/2176754_0.jpg"; s.link = "//elitesouthernrealty.com/homes-for-sale-details/840-CARONDELET-STREET-503-NEW-ORLEANS-LA-70130/2176754/150/"; s.text = "
"; SLIDES.add_slide(s); //s.filter = 'progid:DXImageTransform.Microsoft.Pixelate()'; s = new slide(); s.src = "//pix.idxre.com/pix/LANOMAR/main/0/2176712_0.jpg"; s.link = "//elitesouthernrealty.com/homes-for-sale-details/840-CARONDELET-STREET-501-NEW-ORLEANS-LA-70130/2176712/150/"; s.text = "
"; SLIDES.add_slide(s); //s.filter = 'progid:DXImageTransform.Microsoft.Pixelate()'; s = new slide(); s.src = "//pix.idxre.com/pix/LANOMAR/main/0/2185463_0.jpg"; s.link = "//elitesouthernrealty.com/homes-for-sale-details/1521-ST-CHARLES-AVENUE-NEW-ORLEANS-LA-70130/2185463/150/"; s.text = "
As native New Orleanians, we pride ourselves in our extensive market knowledge, experience, and professionalism. If you want to build a life in our beloved NOLA, we’ll help you achieve that goal in no time. 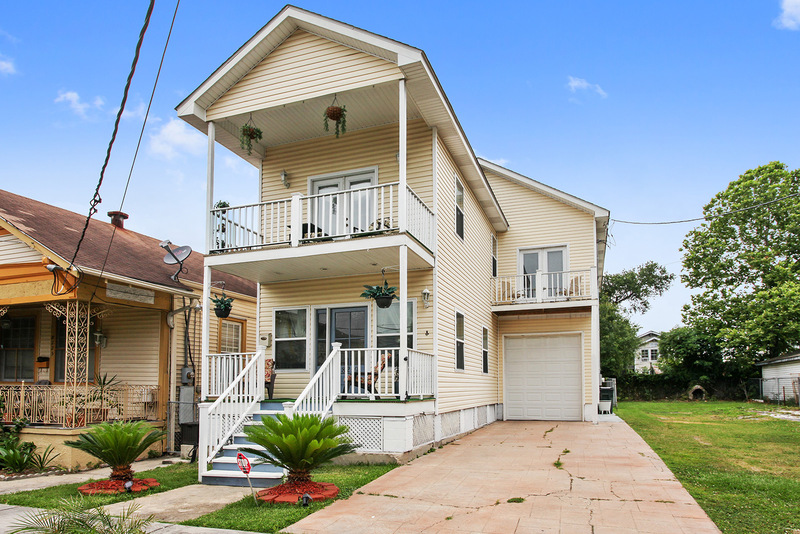 Whether you are buying or selling in New Orleans, it is our goal to create a smooth and positive experience for you. Elite Southern Realty, LLC is a premier brokerage in the New Orleans area. We utilize cutting-edge tools and technology in order to deliver top-quality customer service. We have dealt with people from all walks of life, allowing us to gain experience and knowledge about our real estate industry. Having been in the industry for a considerable period of time, we have amassed a wide network of contacts that range from mortgage brokers to inspectors to reputable closing companies. Each one of us is committed to helping you fulfill your New Orleans real estate goals – and when we say we’re here to help you meet your goal, we mean we’re with you every step of the way, no matter what and how long it takes. Elite Southern Realty, LLC specializes in numerous neighborhoods across the New Orleans and metropolitan areas, including but not limited to: the French Quarter, Metairie, Old Metairie, Irish Channel, Lakeview, the Warehouse District, and the Garden District. Get in touch with us today! We look forward to working with you soon!